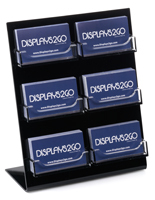 This vertical contact information display w/ custom logo is an effective marketing tool. 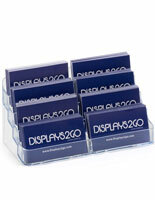 Just set this card fixture with six slots on top of a desk in a greeting area to encourage customers to "take one." 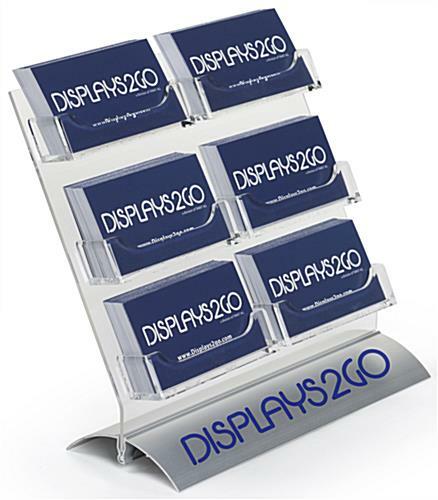 This contact information display w/ custom logo can be placed in an office or retail environment, and wherever business cards need to be dispensed. 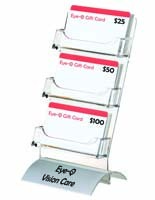 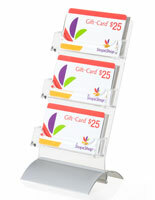 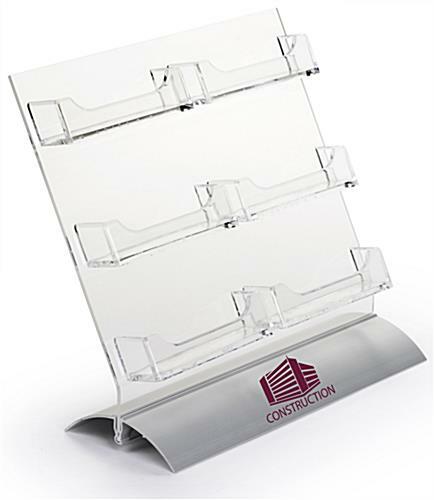 This vertical business card display w/ custom logo clips into a silver base with modern flair. 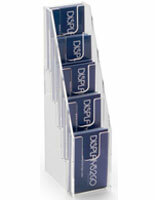 The holder can be taken apart and conveniently stored. 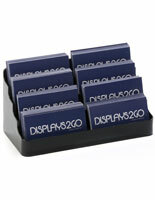 This business card display w/ custom logo on vinyl features a one-color graphic. 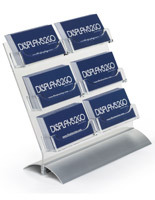 To see printing colors that are available, go to downloads and open the art template. 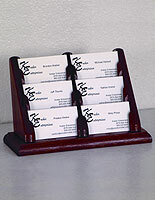 8.3" x 7.3" x 5.0"